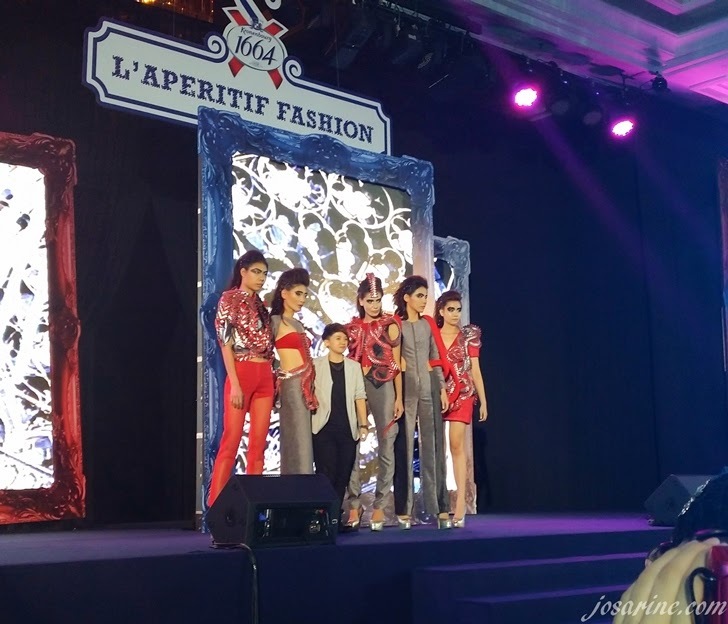 I love love love fashion shows, attending the L'aperitif Fashion Show at The Majestic Hotel really cheered me up on the 7th of November 2013. I would like to thank Manoah for inviting to this fashion show because it really cheered me up from my dull daily routine life, though it was pretty rushing from work but it was worth it. 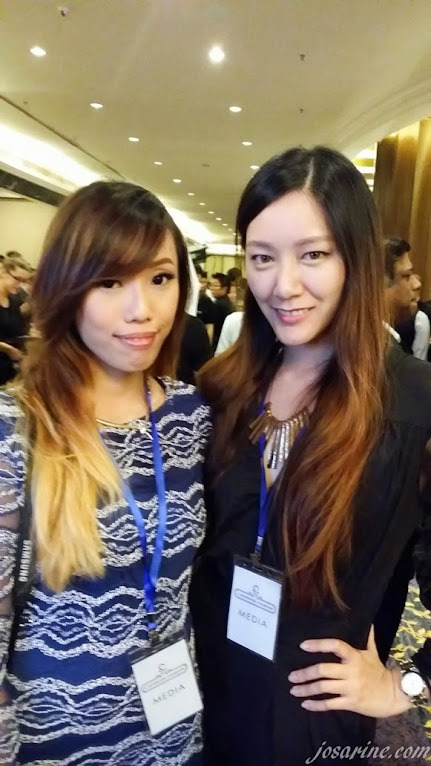 Michelle and I worked like really close each other so we decided to attend this event together. She's such a cutie! Special thanks to her for this picture. Check out her blog here. I used the 360 cam from my Samsung Note 3 to take this shot. Sadly I cant set this picture to its original size because it's too long. Hope you can see it though, this is how the ballroom looked that night. 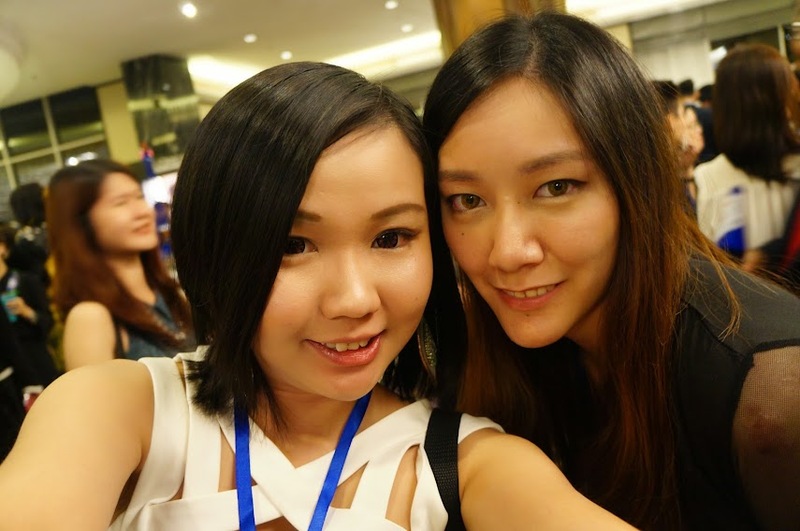 Shin Mei Chian's main mission is to be a costume designer, being inspired by her favourite artist, Jolin Tsai. She really hopes to design a whole series of stage costumes for Tsai's concerts and music videos. Shin Mei Chian's 'Pure Evil' collection is derived from the word Tartuffle, which means hypocrite in French. The reason for this concept is because she believes that there are many people who are hypocritical in many aspects of their life. People can be beautiful and yet it is cloaked by a black heart which has been the inspiration of her collection. "The Kronenbour 1664 L'Aperiftif Fashion had broadened my mind in terms of creation fashionable outfits. I have learned that it is not just about creating something unique but it has to represent you as an individual so that we develop our own style and ultimately stand-out for our signature collections." Since she was a young girl, Ivy's dream of fashion designing ignited. She's always adored looking at what people are wearing from the bustling crowds in the malls, strangers walking pass by. Ivy aspires to open her own little boutique in her hometown and introduce fashion lovers to different concept and creations. Ivy's inspiration stems from her love for architecture, her collected theme 'Further' is a manifestation of the Barclay Capital Bank's origami inspired headquarters. "The Kronenbourg 1664 L'Aperitif Fashion competition has been very challenging for me but it has given me invaluable experience. The exposure did not just allow me to work with remarkable people like Gillian Hung, but to see other contestants designs, this has given me a broader perspective of what the fashion industry is all about." This 22 year old's love and interest in art stemmed from a very young age and her dream has always been to be a fashion designer for as long as she could even remember. While she's already living in her dream, which she learns about fashion her goal is to mark her name in the history of fashion and show the world that this fashion designer is here to stay. Michelle's collection was inspired by the French Queen, Marie Antoinette. 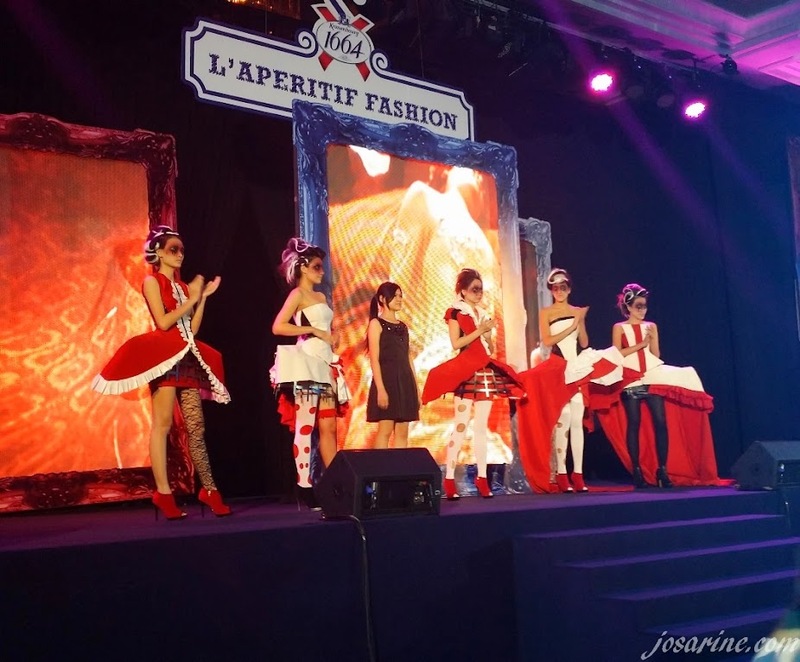 "I think the Kronenbour 1664 L'Aperitif Fashion competition is a very good platform for young designers to show their talents. I was only in my first year and second semester when i joined this competition and it's the first competition i've joined after taking that first step into the fashion industry." Another 22 year old fashion student who always wanted to be a renowned fashion designer, resolute on starting up her own label someday and sprouting boutiques all over the world. Her dream is to be an accomplished designer internationally. Her biggest accomplishment would be to see people walking about in her creation. Her inspiration for the competition was the monumental Louvre Museum. Alice's interpretation from Lourve was invited by its transparent yet mysterious demeanour casting a certain charm to its monolithic existence. 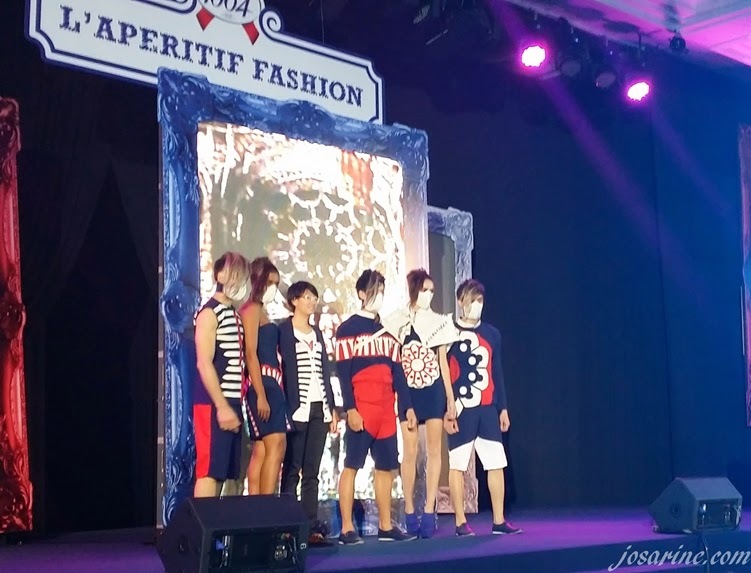 "Kronenbourg 1664 L'Aperitif Fashion 2013 has been an amazing experience for me. The competition is grand and very professional and I am honoured to be one of the finalists." Lorenzo constantly found himself dressing up Barbie dolls in pretty handkerchiefs since the age of 10. He would be flipping through the glossy pages of fashion magazines too. I guess we have a born fashion designer here. Lorenzo believes it all started right after he wrote his first essay titled 'JI want to be a fashion designer'. Lorenzo's collection was inspired from Claude Monet's paintings of French ladies in heavy garments held tightly by laced corsets. 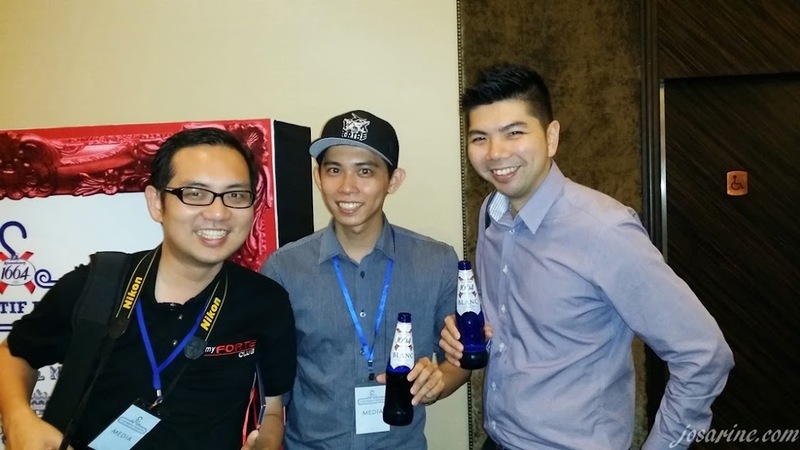 "I am truly grateful to Kronenbourg 1664 for giving us young designers a shot at exercising our talents in a totally different ball game. Gillian Hung has given the boost that I need to pursue my passion." 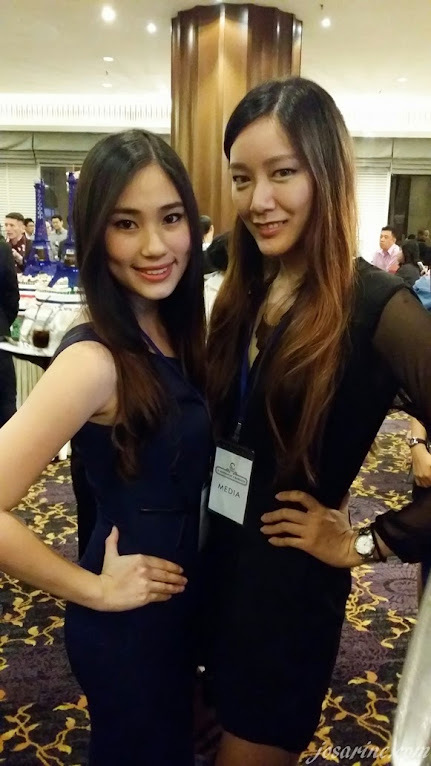 Phuna's most immediate task is to become a notable and recognised fashion designer in Malaysia first. Wow this is a first so far as I'm writing this blog post, everyone else wants to be so big but Phuna would like to focus on Malaysia first. No harm in that, is not that she's not ambitious enough, it could also mean she's being realistic first. Phuna's collection is more on a futuristic approach to olden day France. Her inspiration to recreate its structure using arrow shapes to make arrow textures with simple silhouette has produced cutting edge designs that are both progressive and eccentric. 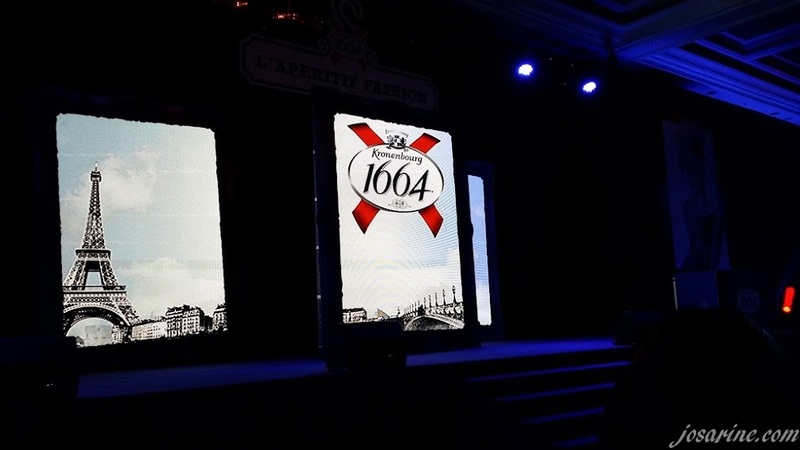 "With a theme like Fresh Materpieces, Kronenbourg 1664 has truly pushed our boundaries an dhelped us explore more of our creative side. 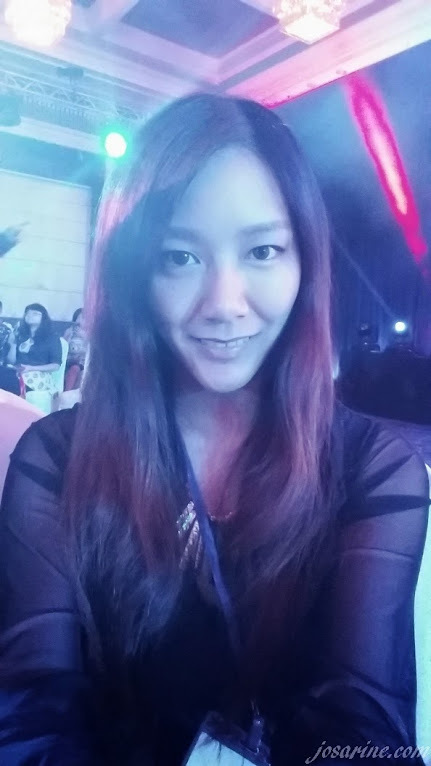 With Gillian Hung as our mentor, I b elieve I have grown not only from a technical aspect but mind-set as well." Laura's collection is the only one that's for all men's range. Reason being is because she believes that fashion does not only belong to women in today's society, true enough. Her dream is to start her own brand of fashion wear and she has been in love with fashion since her teenage days when she used to observe her friend's different styles of clothes. Laura's collected was inspired by the Notre Dame Cathedral. "The competition has put forth unlike any other competition i've ever seen." As a child Ellie enjoyed playing with paper dolls and dressing up her many Barbie dolls in different outfits. How many of you girls out there used to enjoy doing that too? I know I did, was in love with Barbie dolls back in the days. Ellie's talent and passion further developed when she began designing clothes for herself and family members with the help of paper pattern books. Drawing her inspiration from Musee d'Orsay, a railway station-turned-musuem that houses mainly French art, Ellie's collection is reflective of the musuem's architectural beauty. 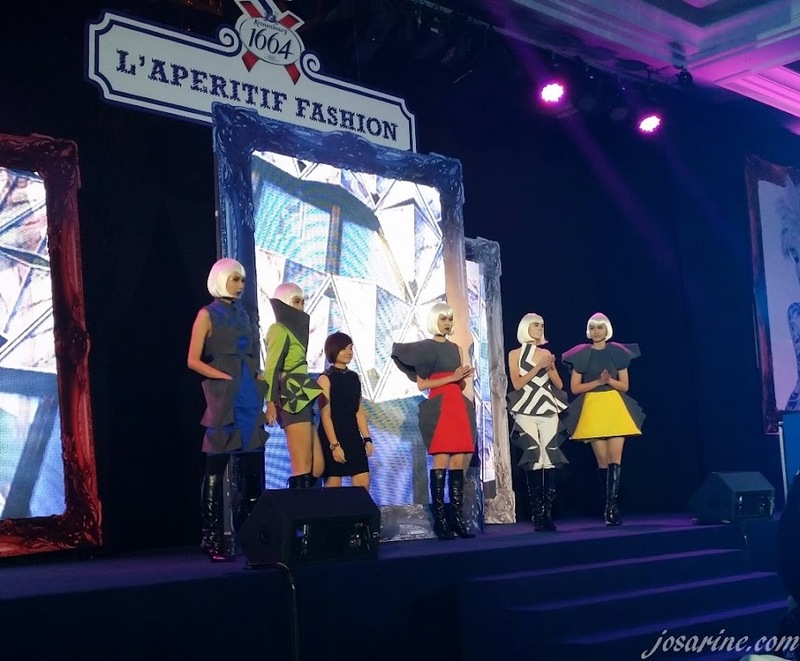 "Kronenbour 1664 L'Aperitif Fashion competion is a great opportunity and a good platform for young designer to showcase their talents. The award is priceless because the knowledge and experience gained will be very useful in building ones fashion career." 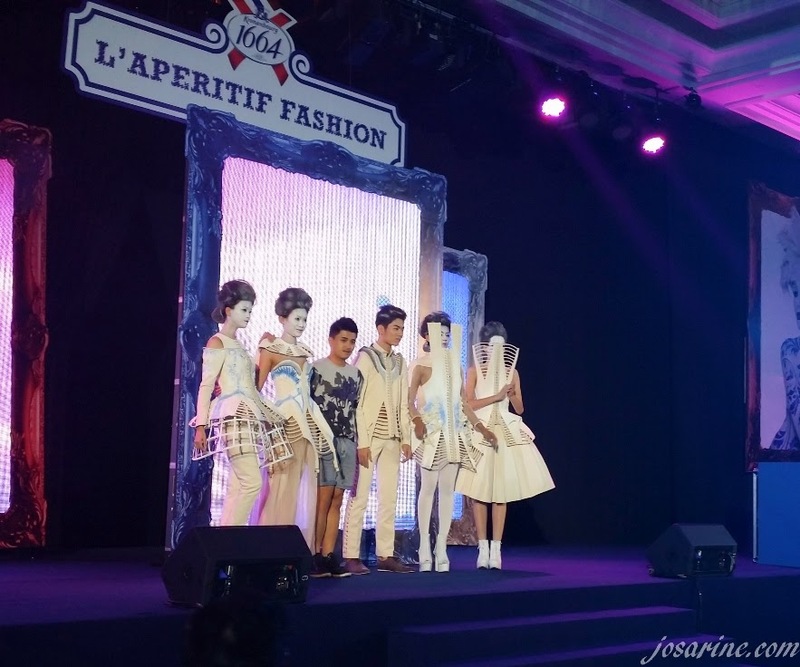 Guess what guys, she's the winner of Kronenbourg 1664 L'Aperitif Fashion 2013! Ellie was awarded with a 3-moth internship programme with the world renowned Nicolas Goergiou where they will learn the ropes of the industry, the intricate necessities required to become a top designer and hopefully come back as Malaysia's next top designer icon. That's about it guys, the winner with her beautiful designs. Hope you are having a good week ahead, it's Tuesday now as i'm blogging, 3 more days till Wicked Festival 2013! Okay totally irrelevant to this blog post but I can't help it.